I have admired Cupcake Jemma and her imaginative creations for many a year. 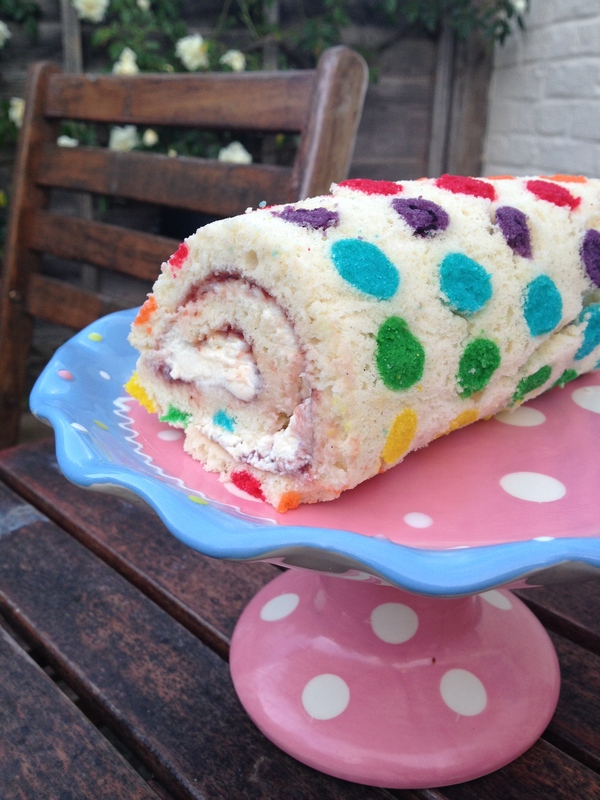 Having tried one or two of her ‘sensible’ recipes, the time has come to recreate one her wackier bakes – the Rainbow Polka Dot Swiss Roll. I do not recommend this bake if you are a) short of time and/or b) short of patience. Never has a Swiss roll been created with such pomp and circumstance. 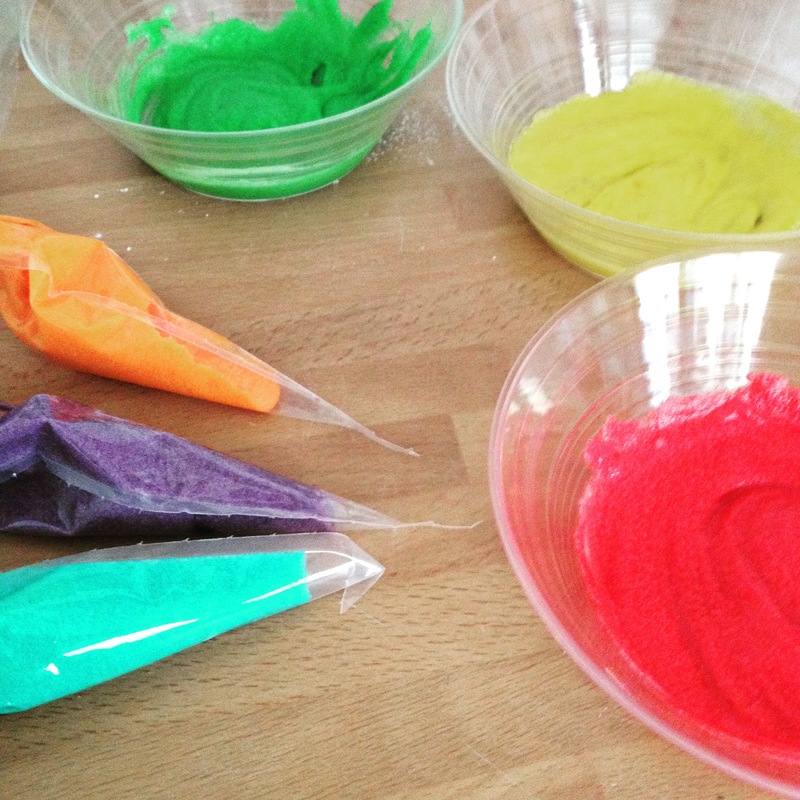 Colouring the dots that give this cake this name is a chore, but the pay off is tenfold. There’s no doubt that this bake has the wow factor as the centrepiece for a summer BBQ. I have to admit that despite Jemma’s marvellous walk-through, I came a cropper right at the end. My Swiss roll stuck firm to the greaseproof paper it was baked on, but, and it’s a big BUT, I think it was less to do with the recipe and more to do with me ignoring the words ‘baking parchment’ and reaching for the greaseproof paper anyway (does anyone know what the difference actually is?!). Nevertheless, a bit of jiggery pokery with a sharp knife and this is the finished product (there is a little bit of crackage, but it tastes superb). Not bad, considering I thought it might be curtains for this bake when I first tried to roll it.